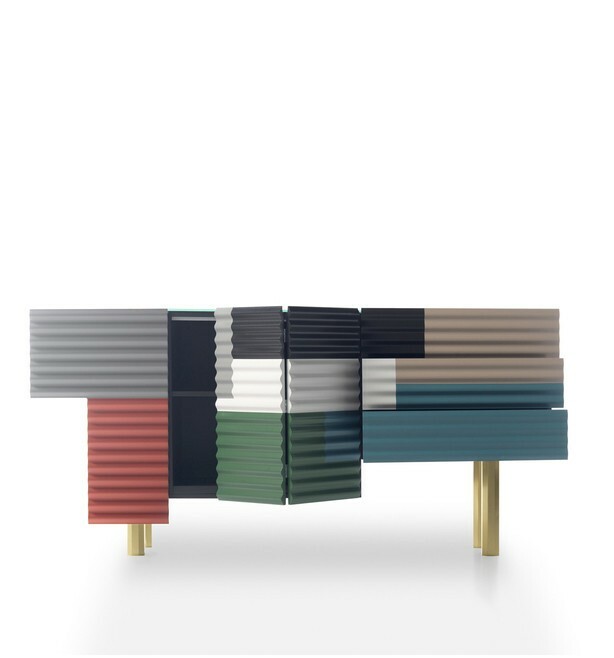 “It is a modular piece of furniture made of container cubes, with various functions. They have a dynamic both in their volume and in their position and finish. The woods, all different and all synthetic, are always on the inside.” It is multifunctional. Perfect for being the centre for a party. It allows for different configurations, and can also work as an island piece.